Jimmie Walter Finnie, affectionately known as Jay Walter or Jay, was born April 27, 1938 to the late Clarence E. Finnie, Sr. and Susie Brown in Sweet Home, Arkansas. His mother having passed while he was a toddler, he was raised by his maternal aunts and grandmother, Ma Carrie Brown. At the age of 17, he enlisted in the U.S. Navy, where he had a storied 20-year career as a Radioman, operating telegraph machines, sending and receiving messages via Morse code. He spent much of his Naval career aboard aircraft carriers stationed on both the east and west coasts and overseas, retiring with the rank of Chief (E-7) in 1975, and settling down in the Norfolk, Virginia area. While stationed in Washington, DC, in the mid-1960s, he met and married Marie Goodwin, also of Arkansas and also in the Navy. Three children were born of their union. Full of entrepreneurial spirit, Jay never punched another clock after retiring from the Navy. He worked his own schedule, in his own way – as a Realtor, real estate investor, and even selling Avon (and he was good at all of it). He did not believe in the word “can’t.” He felt there was always a way to get it done. In searching to find that way, he could usually be found reading something – newspapers (daily), biographies, manuals, legal and medical information, etc. He was very well-read. Jay joined Shiloh Baptist Church in 2008. 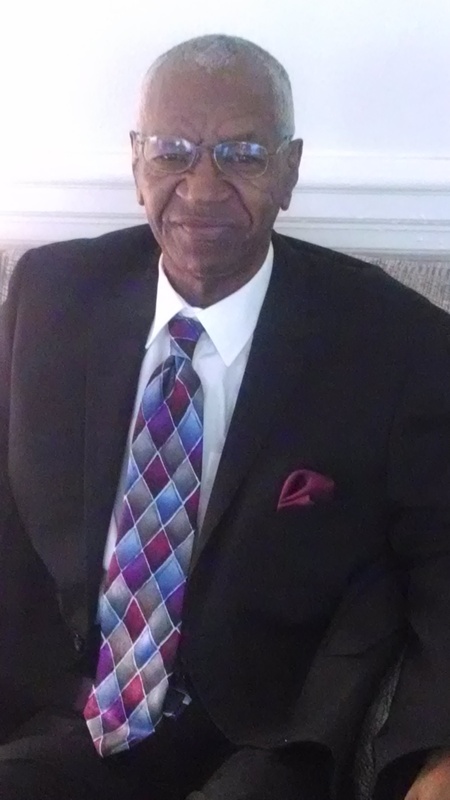 There, he served with the Men’s Ministry faithfully and attended Sunday School consistently, until his health would no longer allow him to do so. Even then, he insisted on attending Sunday morning worship service and Wednesday night Bible study each week, even if via wheelchair. Always the avid learner, it was very difficult for Jay and his loved ones when dementia, a seizure disorder, and multiple strokes began to slowly strip him of his beautiful mind. He hung on as long and as he could, until he finally succumbed to disease and pneumonia early in the morning on February 5th, 2019. Jay leaves to cherish his memory, his former wife, Marie Finnie, a daughter, Sabrina Speller (Craig), of Suffolk, Virginia; two sons Malcolm Finnie (Marikay) and Michael Finnie, both of Las Vegas, Nevada; his step-mother, Melvia Finnie, a sister, Elizabeth “Betty” Finnie, and two brothers, Clarence Finnie, Jr. (Diana) and Artie Finnie, all of the greater Chicago, Illinois area; six grandchildren; 4 great-grandchildren (with two more on the way); and a host of nieces, nephews, and cousins (several generations of each) that extends all across the country. To the Finnie family! I feel like I know Mr. Finnie. Sabrina has always fondly spoke about “daddy” for as long as I have known her. Sabrina.. thanks for sharing your “daddy” with us. You have wonderful memories to hold on to and share with all the future grandbabies. Jimmie was a dear friend and client for many years. we lost touch after I retired and moved away. He was a terrific guy and I am sorry to learn of his passing. My very best to Marie and the rest of his extended family, of whom he was very proud.